Bonheur is a lovely semi-detached family home presented beautifully over three floors with a large open lounge/dining room, modern kitchen and separate wc on the ground floor. 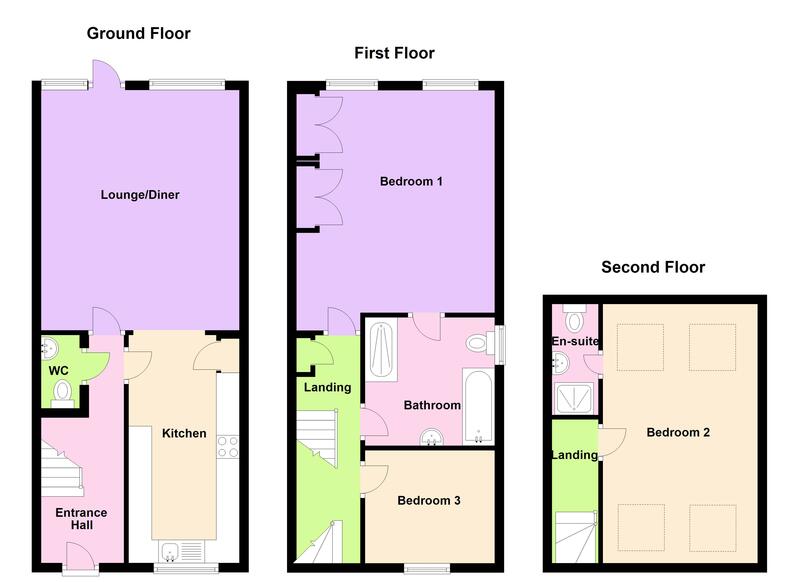 The three double bedrooms on the first and second floors are bright and spacious with two having the benefit of en suite bathrooms. Externally there is a fully enclosed sunny patio and lawned garden at the rear with parking for two cars at the front of the property. Call Cranfords today on 243878 to book your viewing! 16' x 7'10". Appliances include Samsung four ring hob with extractor fan, Whirlpool oven, Hotpoint fridge/freezer, integrated Whirlpool dishwasher and Hotpoint washing machine. 14'8" x 13'2". Fitted wardrobes. Floor coverings, curtains/blinds, appliances and light fittings. Appliances as detailed.